Well it’s a week after the first FIA race of the year. It has taken me this long to collect my thoughts and get over the operation to have the smile surgically removed from my face. To say we had a good weekend would be the understatement of all time. 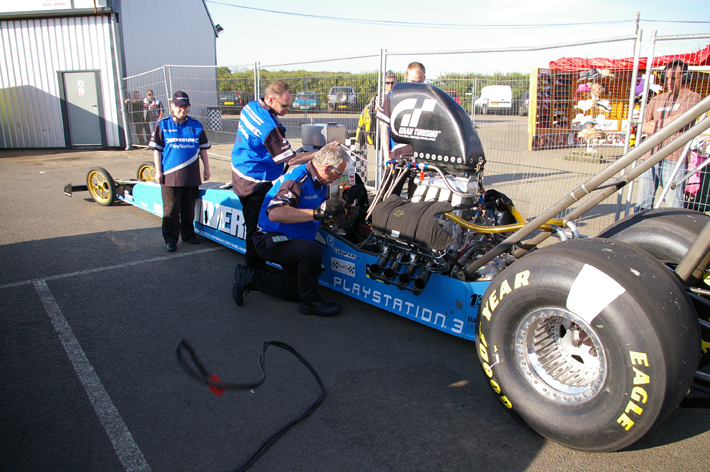 Just to recap a little, since we moved to the A-Fuel combination whilst being able to make adequate horse power up till now we have been unable to translate that into good times due to our inability to transfer the power to the track, we smoked and shook the tyres all round Europe last year. After a similar performance at the Easter race it was decided that something had to be done!! 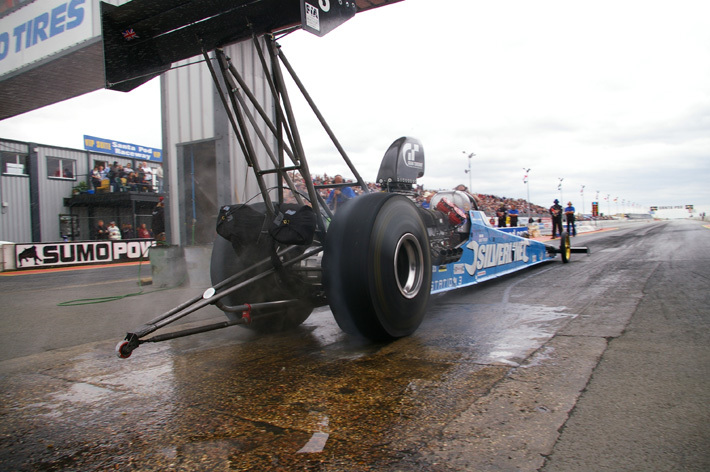 We implemented a range of changes to chassis, wings, wheels, tyres and nose weights and with fingers crossed arrived at Santa Pod on Wednesday ready for Thursday’s test. Thursday and on our first pass in testing it became apparent that we had picked up an additional problem with the injector butterflies resulting in an idle speed which was less than desirable and made the tune up more aggressive than we wanted, despite which on an early shut off test run the car ran calmly to ¾ track with no sign of smoking tyres or shake. (This was more significant than we realised at the time). Friday was spent fitting new tyres on our borrowed beadlock wheels (thanks to Dave and Steph Millam who had a spare set). If we couldn’t borrow and lend parts to each other in this sport it wouldn’t be the sport it is and we would all struggle that much more! The injector body also got an extensive rework and modification in order to control our idle rpm better. Saturday with the new tyres and the injector fixed, we readied ourselves for the first qualifying run and the result was very similar to Thursday’s test. 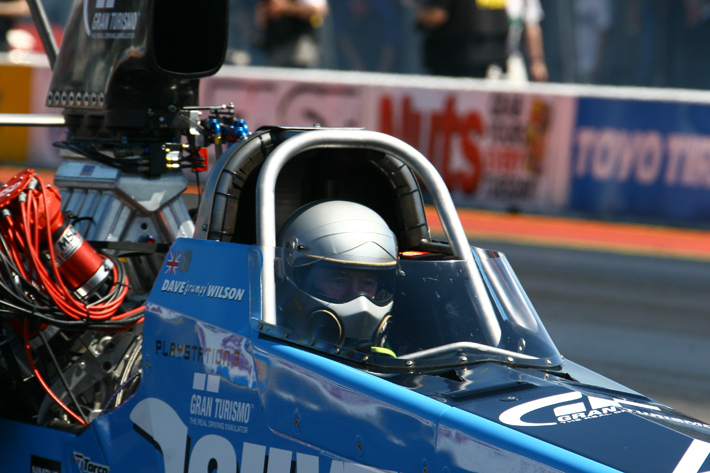 No tyre smoke or shake and the car ran a very leisurely 5.90. 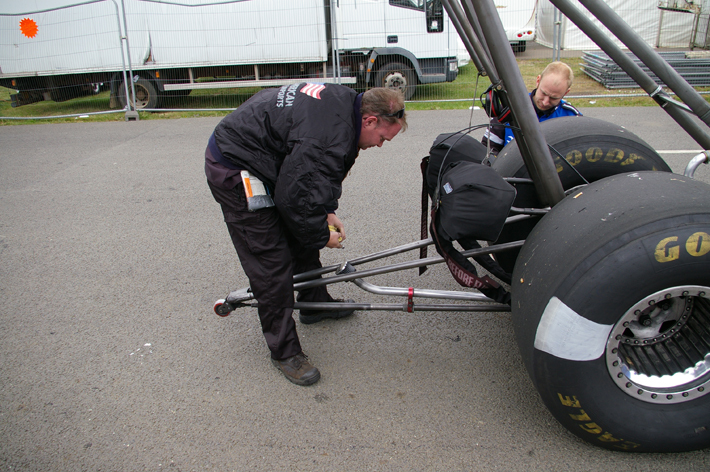 So back to the pits, do the normal between round maintenance but what to do to improve things? Well the track was obviously good and improving and we had no problem with traction, so lets get a little more aggressive with the tune up. 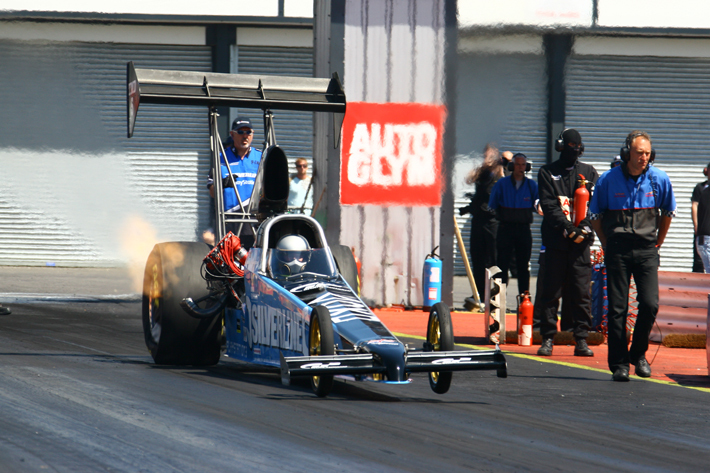 Next qualifier Saturday afternoon, a slight improvement to a 5.77 and still no smoke or shake, we could just be onto something here! Sunday third qualifying session, with two qualifiers left this was the time to try something more drastic rather than leave it to the last qualifier. 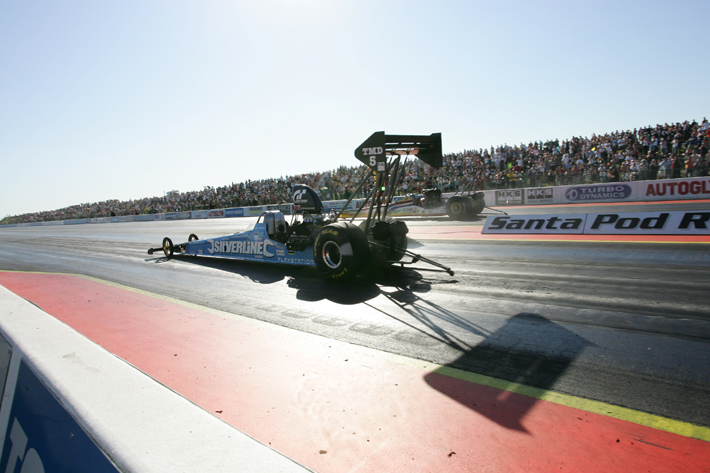 So we opted to put a lot more power in and returned the tune up to where it was almost a year ago (at that time the 60 ft time was good but the rest of the run was a cloud of tyre smoke). This time it really responded. It left the line well and just kept pulling and pulling, by half track I knew we were on a good run, way better than anything in the past. Now, the crew on the startline and the crowd see the time instantly but I’m still in the car slowing down, shutting off fuel, turning off the track, parking the car, etc., etc., but when you get out and the track top end crew and your fellow competitors start heading towards you you know something special must have happened. Sure enough we just ran 5.379 the first 5.30 outside the USA!!! This made us No.1 qualifier and potentially set the first half of a new FIA European record. Of course when the crew arrived to pick me up all hell broke loose (just like the first 5.30 we ran in the USA). Back to the pit, check the car over, all seems ok and we change one cylinder head as a precaution as it could do with a freshen up and other than that we decide to make no changes, the idea being to see if we can repeat the time and claim a new record (FIA records have to be backed up with a time within 1%). The last qualifying session and as No.1 qualifier at this point we are moved to last in the running order and paired with Timo Haberman. 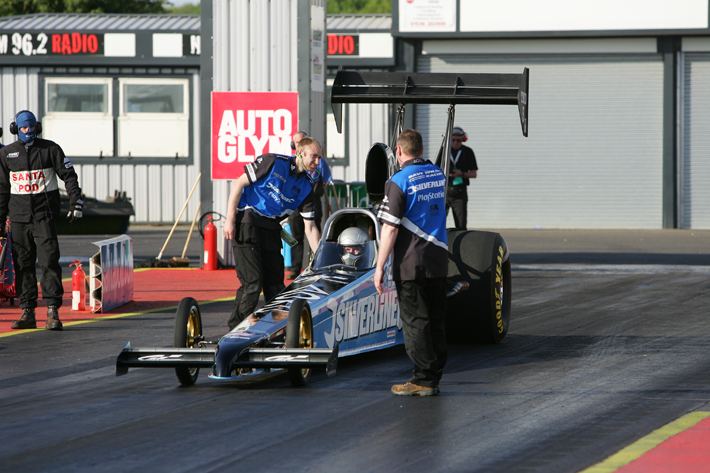 Quite apart from our last run, the last two sessions of qualifying for Top Methanol Dragster have been the closest and quickest ever. Lined up to run before us is “new boy” Fred Hansen from Norway( with a car bought from the USA set up and tuned by Will Hanna from the USA) and he runs 5.380. So now Timo and I go to the line, this time the car leaves the line at least as good as on the previous run and I know I’m on another good run, but I look across and there is Timo and he is staying in front, so if I’m on a good run he must be too. When we stop at the top end all hell breaks out again. It turns out I ran 5.353 and reset the FIA record again but Timo ran 5.351 for the first half of another FIA record (if he can back it up), that’s by far the fastest side by side TMD runs ever outside the USA and we are relegated to the No.2 qualifier! Something we would have given our right arms for two days earlier. Back in the pits we take our time over the normal maintenance to be prepared as well as possible for the racing next day. This time despite changing nothing the car has run faster but has done some damage to the engine. We have to change 3 pistons and do some cylinder head repairs. So we decide to change the tune up slightly to reduce the damage. 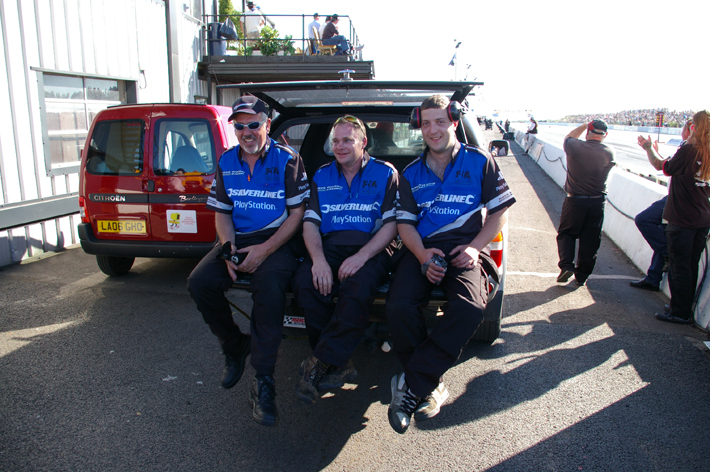 Monday, race day, for the first round of racing, we are paired against Paul Ingar in the Islander’s car. On the startline he leaves very early before the tree is activated, I leave early as well but not by so much and again I can feel the car is on a really good run although it does feel as though it slowed a little at the very end. Sure enough we ran an even better 5.304 (so close to the 20’s) and win, but I know we must have damaged the engine again so we get back to the pit and elect not to do our “normal” maintenance but to just pull off the cylinder heads and check the pistons and valves, and sure enough we have the same problem only worse, 3 new pistons and change of cylinder heads is needed and the whole crew throw themselves into the task. David, Harry and Rikki might be used to it but it’s a baptism of fire for the “new guys” Jim and Pete, but we get it all done and change the tune up again to try to calm down this now rampant race car because if we hurt the engine again we won’t have enough spare parts to come back for the final anyway and we have to learn how to tame this beast. OK Round 2 of racing and I lose. 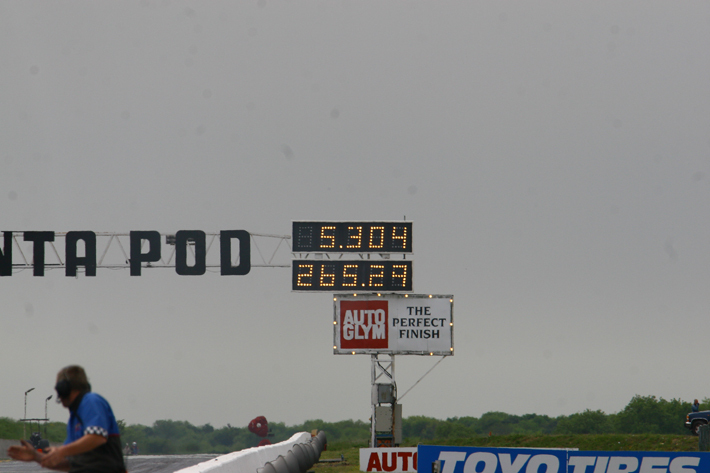 We should have won on performance, we ran another 5.388 , a little slower but with no damage, certainly quicker than our opponents time, but he beat me fair and square on reaction time so now its time to tune “me” up. 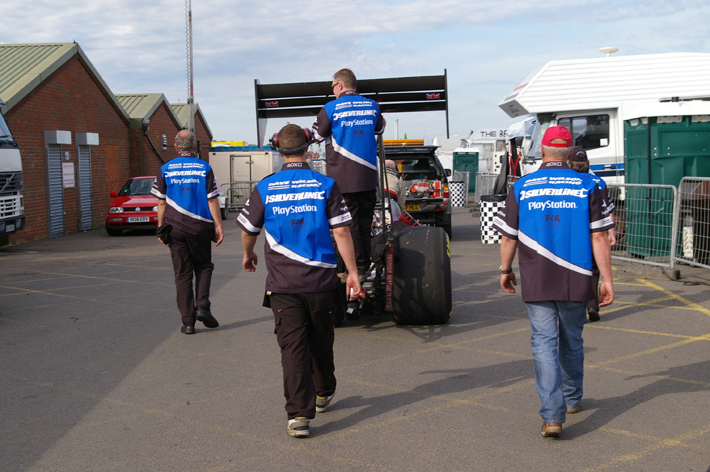 All in all a stunning weekend of racing for us and for Top Methanol Dragster in general. Can’t wait for Alastaro Finland.